China has carried out the ninth orbital launch of the year, by launching their Long March 2D carrying the Weixing-11 remote sensing satellite. The launch took place at 02:42UTC on Wednesday, lifting off from the Jiuquan Satellite Launch Center. 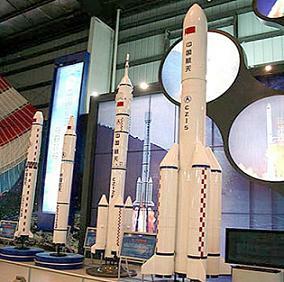 Meanwhile, China has spoken about its near-term space flight goals. Once again the Chinese media refer the new satellite as intended for “scientific experiments, land survey, crop yield assessment, and disaster monitoring.” As was the case with previous launches of the YaoGan Weixing series, Western analysts believe this class of satellites is being used for reconnaissance and military purposes. The satellite was developed by the Aerospace Shanghai Technical Institute at the China Aerospace Science and Technology Corp. The previous satellite in the series, YaoGan Weixing-10, was launched August 9th from the Taiyuan Satellite Launch Center via a CZ-4C Chang Zheng-4C (Long March 4C). The ‘YaoGan Weixing’ designation appears to be used in a similar fashion to that of the old Soviet ‘Cosmos’ designation, hiding the true mission of the vehicles launched into orbit. The first YaoGan Weixing satellite (29092 2006-015A) was launched by a CZ-4C Chang Zheng-4C (CZ4C-1) from the Taiyuan Satellite Launch Center on April 27, 2006. At the time the details about this satellite were closely guarded, but later it was noted that it was the first Jian Bing-5 satellite, equipped with the first space-based synthetic aperture radar (SAR). The YaoGan Weixing-2 (31490 2007-019A) was launched on 25 May, 2007, by a CZ-2D Chang Zheng-2D (CZ2D-8) from the Jiuquan Satellite Launch Center. Details were also restricted, though it is claimed that this spacecraft is an electro-optical military observation satellite, complementing the results of the YaoGan Weixing-1. Another SAR mission was launched on November 12, 2007 with the YaoGan Weixing-3 (32289 2007-055A) satellite orbited by a CZ-4C Chang Zheng-4C (CZ4C-2) launch vehicle from Taiyuan. Other SAR missions are listed as the YaoGan Weixing-6 (34839 2009-021A), launched by a CZ-2C Chang Zheng-2C-III from Taiyuan on April 22, 2009, and the YaoGan Weixing-8 (36121 2009-072A), launched on December 15, 2009, by a CZ-4C Chang Zheng-4C also from Taiyuan. On December 1, 2008, YaoGan Weixing-4 (33446 2008-061A) – the second electro-optical satellite on the series – was launched by a CZ-2D Chang Zheng-2D from Jiuquan, and on December 15, 2008, YaoGan Weixing-5 (33456 2008-064A) was launched by a CZ-4B Chang Zheng-4B (CZ4B-12) from the Taiyuan Satellite Launch Center. It is now believed that this satellite was the fourth electro-optical bird on the series, as well as the YaoGan Wexing-7 (36110 2009-069A) launch on December 9, 2009 from Jiuquan by a CZ-2D Chang Zheng-2D. The YaoGan Weixing-9 mission, launched March 5 this year from the Jiuquan Satellite Launch Center, had an architecture that was different from the previous missions on the series. Launched by a CZ-4C Chang Zheng-4C launch vehicle from Jiuquan, the mission put not one but a triplet of satellites in Earth orbit. Flying in formation, these three satellites form what looks like a type of NOSS system. YaoGan Weixing-11 was launched by a CZ-2D Chang Zheng-2D launch vehicle. This is a two stage launch vehicle developed by the Shanghai Academy of Spaceflight Technology. With storable propellants, is mainly used to launch a variety of low earth orbit satellites. The CZ-2D can launch a 3,500kg cargo in a 200 km circular orbit. Its first stage is the same of the CZ-4 Chang Zheng-4. The second stage is based on CZ-4 second stage with an improved equipment bay. The first launch of the CZ-2D was on August 9th, 1992 from the Jiuquan Satellite Launch Center orbiting the Fanhui Shei Weixing FSW-2-1 (22072 1992-051A) recoverable satellite. This launch was the 131st Chinese orbital launch, the 46th orbital launch from the Jiuquan Satellite Launch Center, and the fourth orbital launch from Jiuquan this year. This was the thirteenth use of a CZ-2D Chang Zheng-2D launch vehicle. Also known as the Shuang Cheng Tze launch center, the Jiuquan Satellite Launch Center, in Ejin-Banner – a county in Alashan League of the Inner Mongolia Autonomous Region – was the first Chinese satellite launch center. The site includes a Technical Centre, two Launch Complexes, Mission Command and Control Centre, Launch Control Centre, propellant fuelling systems, tracking and communication systems, gas supply systems, weather forecast systems, and logistic support systems. Jiuquan was originally used to launch scientific and recoverable satellites into medium or low earth orbits at high inclinations. It is also the place from where all the Chinese manned missions are launched. Presently, only the LA4 launch complex (with two launch pads – SLS-1 and SLS-2) is in use. The first orbital launch took place on April 24, 1970 when the CZ-1 Chang Zheng-1 (CZ1-1) rocket launched the first Chinese satellite, the Dong Fang Hong-1 (04382 1970-034A). It is now known that China plans to launch its second lunar probe, Chang’e-2, at the end of September, or on the first days of October. A tentative launch window was given between September 30 and October 3, with a preferable launch time in the morning on September 30 (local time). The probe will be launched by a CZ-3C Chang Zheng-3C launch vehicle from the Xi Chang space center. According to Ouyang Ziyuan, chief scientist of China’s Lunar Probe Project, the resolution of the cameras mounted on the Chang’e-2 Moon probe have a resolution of 7 meters, and up to 1 meter when the satellite is closer to the moon. 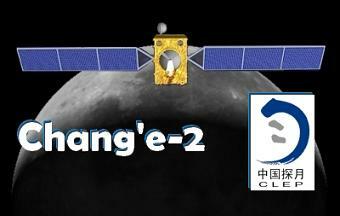 Chang’e-2 will test soft-landings and other technologies in preparation for the launch of the Chang’e-3 – China’s first unmanned landing on the moon slated for 2013. It will also experience numerous orbital changes and adjustments. In addition, it will also carefully explore a landing zone enabling future satellites to land on the moon safely. Chang’e-2 will reach lunar orbit within five days after launch, compared to the Chang’e-1, which required nearly 14 days. The probe will orbit 100 km closer than its predecessor, at around 15 km from the Moon. Before the end of the year China plans to launch the FY-3B Feng Yun-3B meteorological satellite, along with the launch of the ST-1B Shen Tong-1B / ZX-20 (2) ZhongXing-20 (2) military communications satellite, two more BeiDou navigation satellites, and the Shi Jian-6 Group 4 mission. Next year will see the launch of the TianGong-1 space module. TG-1, weighing about 8,500 kg, is expected to accomplish the country’s first space docking and is regarded as an essential step toward building a space station. The unmanned Shenzhou-8 spacecraft will be the partner in China’s first space docking, as controllers on the ground carry out the docking maneuvers. The manned Shenzhou-9 and Shenzhou-10, the two other spaceships set to dock with Tiangong-1, will follow. TianGong-1 will be launched by a modified CZ-2F Chang Zheng-2F launch vehicle, often referred to as CZ-2F/G Chang Zheng-2F/G. The Chinese claim the vehicle sports 170 technological modifications, 38 of which are classed as “major” modifications. China is also pressing forward with the development of the CZ-5 Chang Zheng-5 series of launch vehicles, with the building of a launch vehicle production base in the northern municipality of Tianjin. This development has a total investment of 10 billion yuan and covers an area of more than one million square meters. The base will eventually be capable of producing 12 launch vehicles a year. Earlier reports point to the first launch of the CZ-5, with a maximum payload capacity of up to 25,000 kg, scheduled to take place in 2014. Recently, at an aerospace engineering forum Thursday, Ye Peijian, Commander in Chief of the Chang’e Program and an academic at the Chinese Academy of Sciences, said China’s lunar-probe program – the country’s first step toward deep-space exploration – is expected to orbit the moon, land and return to Earth by 2020. Ye proposed that China launches its first manned moon landing in 2025, a probe to Mars by 2013 and to Venus by 2015.